C. CHAINSAW SCULPTURES FOR SCHOOLS/PUBLIC PLACES: Leaping Fish - Mill Dam, Knowsley. Leaping Fish - Mill Dam, Knowsley. 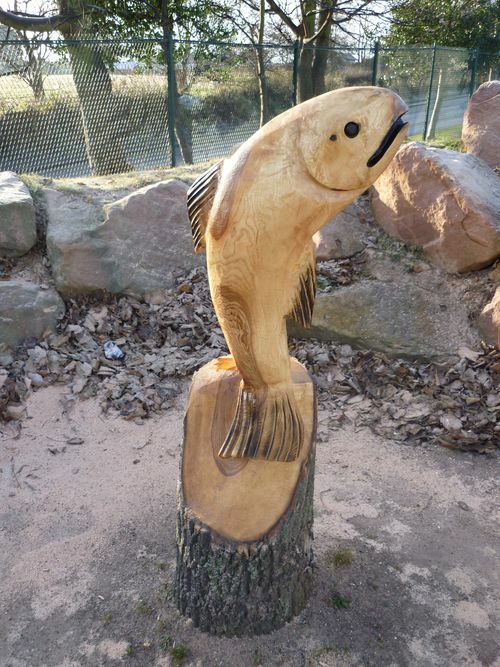 This Leaping Fish was sculpted with chainsaws froman elm log installed in a children's play area next to Mill Dam, Merseyside - which allegedly has a very large fish in its pond.